If your credit card transaction is declined, do not worry, this happens all the time and here are the most popular reasons why your credit card transactions are declined: 1. You are making an international transaction (we are based in Italy) and some credit card providers might block your card without you even thinking about it since they might think that your card is being used in a foreign country to make a purchase, to avoid this simply call and contact your card provider and let them know you are making an international purchase. 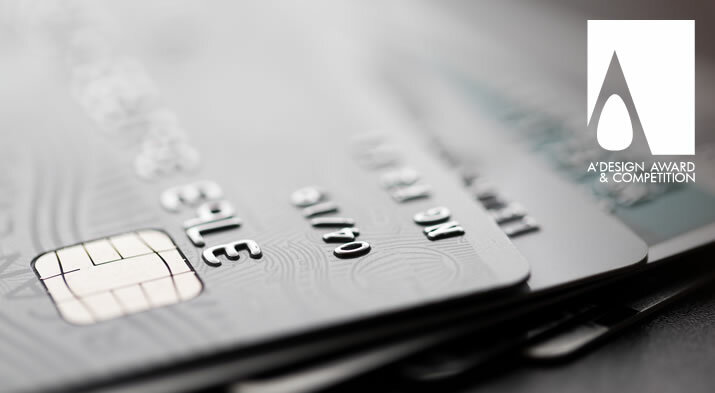 If your card is blocked, try another card that is open to international transactions. 2. Your transaction can trigger an automated fraud protection especially if you repeat the transaction, or if you make same amount of payment multiple times or if you are making a transaction that you would normally not make and thus the automated system of the bank could think your card is being used without your consent, simply contact the bank and explain them that you are going to use the card to make repeat transactions. If you are going to make repeat transactions, try different cards. 3. Sometimes your credit card limit is full or your daily or weekly spent limit is full or your funds are insufficient that means you have already spent your allowance, if this is the case just use another credit card or try other payment options such as wire-transfer. 4. You typed something wrong, maybe the address or maybe the name on card, sometimes the card numbers, and most popular the expiry date or the security code. If this is the case, double check all the details and type them correctly and try again. 5. Your card might have expired, that happens a lot, try a different fresh credit card that did not yet expire. 6. Your debit balance could be negative and that might make your credit card stop working, or maybe you forget to pay the credit card balance and it might not be working therefore, and sometimes if you have a credit card from another bank but you forget to pay its due fees, that other bank could alert your bank to stop your card which have its due fees paid. Try other payment options in this case. 7. There might be a pending hold on your credit card; a pending hold is when a transaction blocks but not yet withdraw a certain amount of money from your credit card; it looks like you have a credit card limit available but due to the hold, there is no limit. 8. Your card is not active due to some other reasons. Ask your bank if your card is working and if yes, why it did not work online. 9. You use the wrong card; we accept Visa and Mastercard, but if you wish to pay with Diners, Amex or anything else such as a debit card or others you need to use another payment interface such as PayPal but not the credit card payment interface, as we are based in Italy, our bank does not accept these. 10. Secure Code or other secondary authentication might have failed. If so, try with a card that does not require a secondary authentication. Learn other payment methods. We only accept certified checks issued by your bank, these cheques are guaranteed and money is deducted from your account immediately so for us they are valid; but we do not accepty your own common cheques; that means if you send us a bank draft that is okay but if you send us some other cheque than we will not use it, we will destroy the cheque. If your cheque is rejected, try another method or send a certified and guaranteed bank issued cheque instead. Learn other payment methods. If PayPal says the transaction is not approved or if the transaction is marked as pending review etc, we might reject it or keep it in pending confirmation for a while and then reject it. Furthermore, your PayPal payment might simply fail just because you do not have sufficient funds, or if you choose to pay over PayPal interface but if you have credit card issues as explained above. If your PayPal transaction fails, try wire-transfer method or try another credit card. Learn other payment methods. Western Union needs to confirm the sender's identity before Western Union can process a money transfer. If this is the case, Western Union will send you an online web receipt and an email asking you to call Western Union. Once Western Union have confirmed your information by phone, the transfer will be completed and we can pick up the money. To ensure Western Union transfer does not get rejected, before making a payment contact us for identity details. Furthermore, a Western Union money transfer might be on hold especially if you jusdt did it and if it's been less than several hours since you completed it, it may not be fully processed yet. Please wait a few more hours and then check the status again. Learn other payment methods. Wire-transfers and electronic fund transfers fail a lot due to misinformation. 1) You did not provide enough information; in most cases the intermediary bank may require more details for transfer, you might have forgot to provide IBAN number or account number. 2) Your transaction allowance is low or the amount being transmitter is higher than the intermediary's limits set for first time users, and hence would require additional information from you on the source of funds or the reason for the transfer or for example you are trying to send us money but your country has sanctions against Italy. 3) If your name is flagged in any database, you will not be notified but your bank might stop you from sending money abroad. 4) The transaction purpose is missing in the wire transfer; you forgot to indicate a cause of transaction; always indicate invoice number, proforma invoice number or the cause. 5) The correspondent bank requires additional information which was not sent by the originating bank. 6) You have breached your wire limit; some banks could put a limit on how much you might wire-transfer within a period of time. 7) You typed the wrong details; money goes to some ghost account; or it bounces back and comes later or it goes to some other real account but not to us; ensure you type our details very correctly. 8) You did not wiretransfer the right amount; if the difference between what you sent and what we receive is significant i.e. more than 3%, we might reject the payment or if the mount is more or less than 3% and depending on your prior transactions we might accept it but we might require you to pay the difference later. 9) Your bank might have strange policies that might be limiting your transactions or maybe your bank simply does not able to send money to Italy. Learn other payment methods. Regardless of why your transaction is rejected, there are many more ways to complete the payment procedure. Learn here about all payment options and methods. • Learn about making a payment for nomination fees. • Learn about current nomination fees. • Learn about nomination packages. 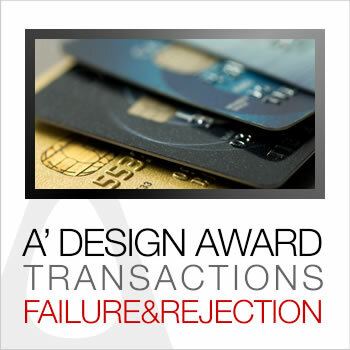 A' Design Award and Competition provides a wide variety of payment possibilities that include Credit Card payments, wire-transfer, PayPal as well as others. Discover other payment options here.